Dana Alden Fox is a partner in the Los Angeles office of Lewis Brisbois and co-chair of the General Liability Practice. As a result of his repeated retention in the most difficult, high exposure cases in California and his being admitted in Colorado, Mr. Fox has become one of the most heralded trial attorneys, consistently obtaining results not thought possible for his clients, including multiple defense jury verdicts in prominent cases. Mr. Fox, who is a Fellow in the American College of Trial Lawyers and holds the elevated rank of Advocate with The American Board of Trial Advocates (ABOTA), has developed a reputation as the “go-to” attorney in high profile, high exposure catastrophic accident, police use of force, premises and product liability, public entity, and general liability cases. 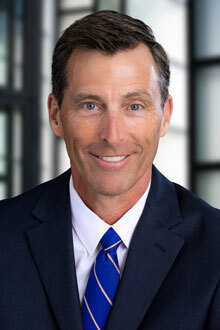 Mr. Fox was named one of the top 100 attorneys in California by The Los Angeles Daily Journal. He has defended and tried many complex and high profile cases. Mr. Fox is currently co-counsel for Live Nation in the litigation arising from the mass shooting in Las Vegas on October 1, 2017, was lead trial counsel for the Los Angeles Dodgers and Frank McCourt in the highly publicized trial arising from the assault of a spectator after a Dodgers game in 2011, and represented the City of Santa Monica in the Santa Monica Farmers’ Market litigation which involved 36 coordinated actions after a vehicle drove through a farmers market. Mr. Fox has tried to verdict cases involving wrongful death, traumatic brain injury, paralysis and similar catastrophic injuries. He is also a sought-after speaker on topics including defending trucking entities, defending police officers in use of force cases, catastrophic case evaluation, jury selection, defending high exposure cases, and opening and closing argument presentation. Stein-Brief Group, Inc. v. Home Indemnity Company (1998) 65 Cal. App. 4th 364. Regulating the Professional Sports Agent: Is California in the Right Ballpark, 15 Pacific Law Journal 1231 (1984). 2013 AV® Preeminent™ peer review rated by Martindale-Hubbell, reflecting the highest peer recognition for both legal ability and ethical standards.